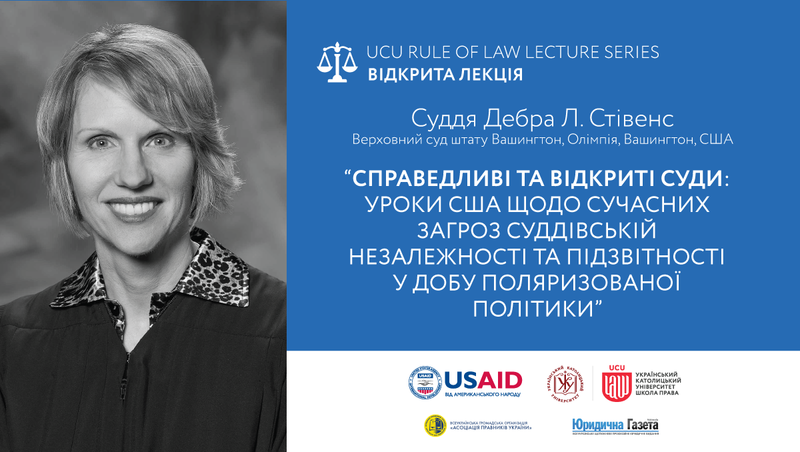 The USAID New Justice Program, in cooperation with the Ukrainian Catholic University, as part of the Rule of Law Lecture Series, will deliver a lecture by Justice Debra Stephens of the Washington State Supreme Court. 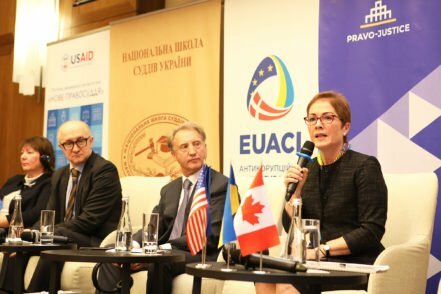 Justice Stephens will make a presentation titled “Fair and Open Courts: Lessons from American States on Сontemporary Threats to Judicial Independence and Accountability in an Age of Polarized Politics”. 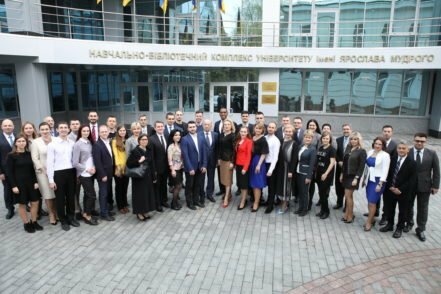 The event aims at contributing to improving legal education quality and advancing the understanding of crosscutting rule of law and judicial independence and accountability issues. Venue: Big Conference Hall of the National Academy of Science of Ukraine, 55 Volodymyrska Str., Kyiv. Registration is available at: http://bit.ly/RoLLS1112. The lecture will be broadcast online on the UCU Law School Facebook page.